Bruno Calabro and his mother, Agostina, in May 1943, only days before Agostina’s death. Bruno was on his way from Washington, Pa. to an Army base when he received the news of his mother’s death and had to return home. My first contact with Tina Calabro was in early 2014 when she called the History Center to learn more details about Joseph Bathanti’s memoir workshop as a part of his residency with the Italian American Collection. Like many people, Tina was in the midst of exploring her family history and was looking for opportunities to connect with other Italian Americans interested in doing the same. During the course of our phone call, Tina learned that besides Joseph Bathanti’s workshop, the History Center’s Italian American Collection could provide her with opportunities to dig further into content related to her research interests. Tina braved the snowy January weather to attend the memoir writing workshop. The intimate atmosphere of the workshop allowed attendees to connect and exchange contact information, an action that allowed for several members of the group to stay in touch after the program. Tina continued to workshop her writing with her peers and, several months later, brought a group of writers to the History Center’s Detre Library & Archives to meet with me and archivist Sierra Green to learn more about how to access the Italian American Collection and how it could aid them in their writing. After a year of working on her story, Tina approached me about the possibility of sharing her research through the History Center’s networks. I put her in touch with Brian Butko, our director of publications, and suggested she pitch an article for the Western Pennsylvania History Magazine. 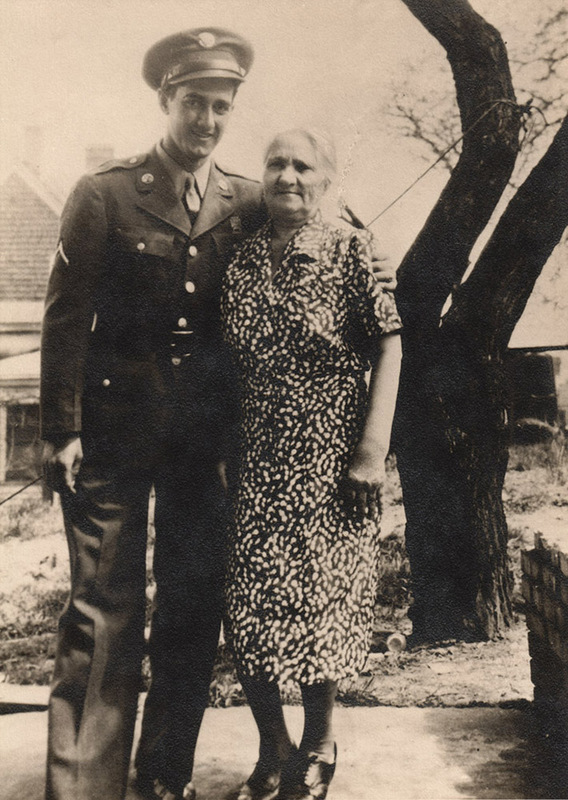 Brian worked with Tina to mold her writing into an article, “Servant ‘Up on the Hill:’ My Italian American Grandmother,” about her namesake, Agostina Di Leonora Deviola Calabro, an Italian immigrant she never had the chance to meet. 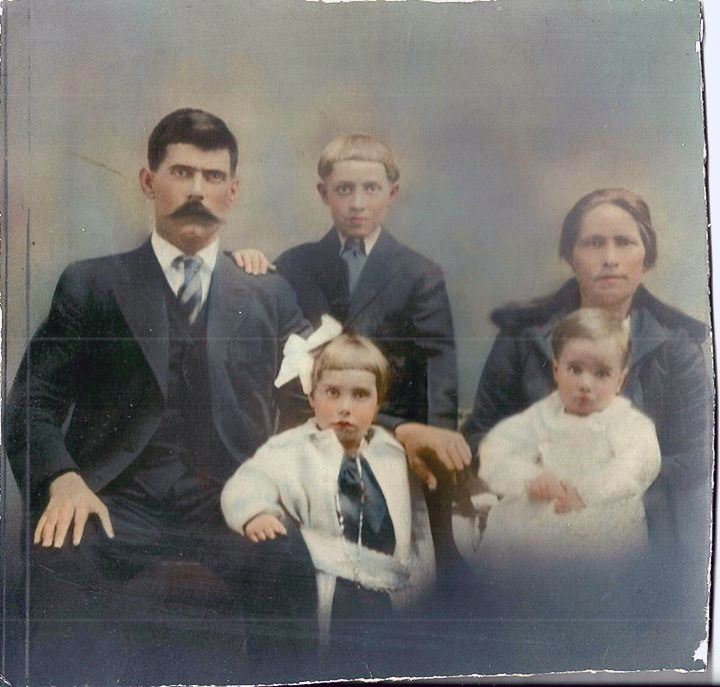 Tina employed the use of the lessons she learned in the workshop – utilizing family photographs as inspiration and interviewing members of her family to record memories – tools that are also employed by the staff of the History Center when gathering material culture. Tina responded to our editor’s suggestions to lace her article with historical details about the Italian American community around the turn of the 20th century, particularly the position of women in the enclave. Because of Tina’s unique experience with the Italian American Program, I’ve asked her to answer some questions about what it was like working with us. 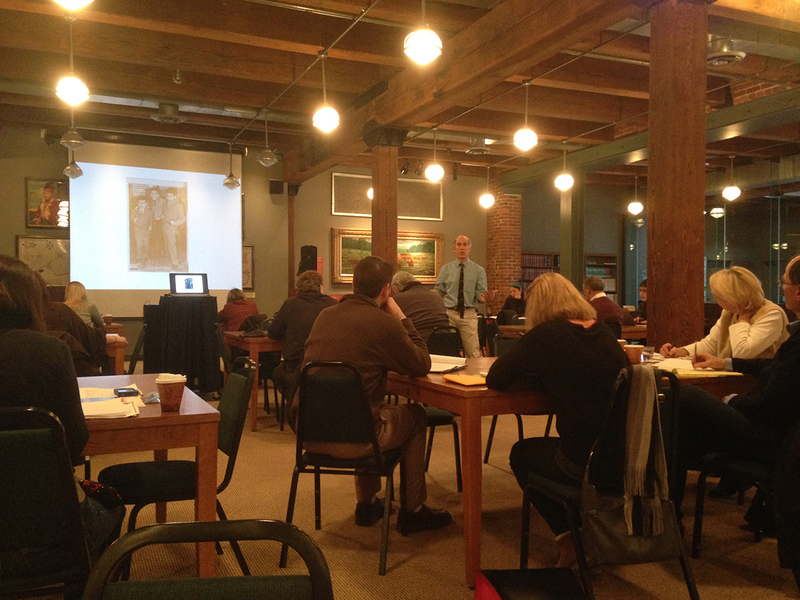 How did you learn about Joseph Bathanti’s workshop at the History Center? In January 2014, I read an article in the Pittsburgh Post-Gazette about a half-day workshop on memoir writing that was part of Joseph Bathanti’s residency at the Heinz History Center. Reading about the workshop was very timely for me. I had been thinking a lot about my paternal grandmother – my namesake – who emigrated to the U.S. from southern Italy in 1920 and died in 1943, a decade before I was born. I found it curious that people in my family always said the same, simple thing about her: “She had a hard life.” I wanted to know more – not only what made her life so hard but who she was as a person. I went to the workshop with the hope that it would help me begin a journey to find my grandmother’s story. And it certainly did. The Calabro family (L to R: Pasquale, Domenico, Carmella, Bruno, and Agostino) in McDowell County, West Virginia, 1923. Those of us who attended the workshop – about 20 people – found an immediate bond in our shared desire to capture our Italian American family experience. When Joseph asked us to talk about our writing aspirations, so many different types of stories emerged. Joseph encouraged us to commit to telling the stories and his reading from his own work inspired us. He gave us time to generate some writing and to share it with the group that day. A few of us stayed in touch after the workshop and met regularly to keep encouraging each other. 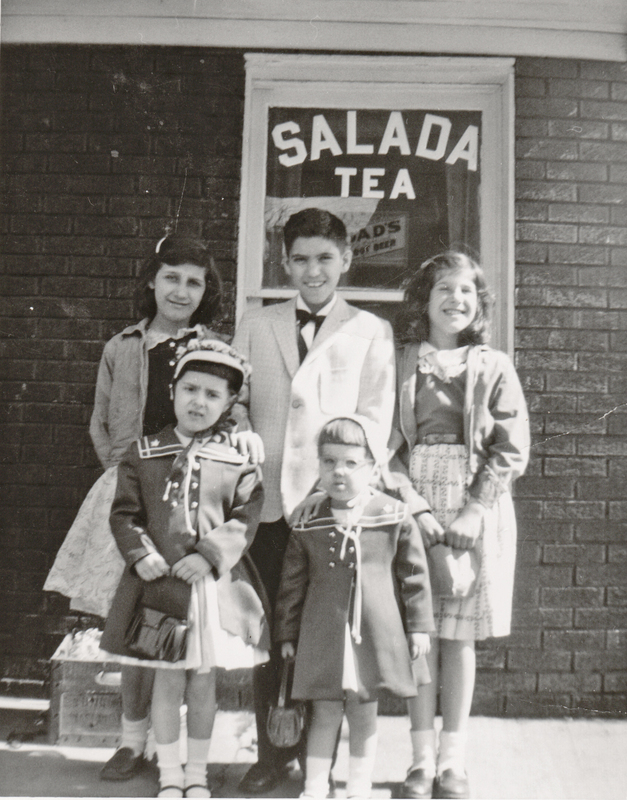 Tina Calabro (front left) and her cousins in front of their grandfather’s grocery store on Easter Sunday in Washington, Pa., 1958. What inspired you to write about your grandmother and her life? My grandmother was such a “silent” woman in our family tree. I had no doubt that her life was indeed hard (and I wanted to understand what made it so hard), but I also wanted to find evidence of her personality, thoughts, and beliefs. She was born in 1883 and her contemporaries are long gone, so I interviewed cousins who were born in the 1930s, 1940s, and 1950s to tease out their memories and any stories they might have heard. How did you use the History Center’s Italian American Collection and Library & Archives to further your research? As I found out more about my grandmother’s life, I also realized that her experiences in many ways were representative of other Italian immigrant women of her time. To get a fuller understanding of that shared experience, I used the Italian American Collection for the oral histories collected from local women as well as for scholarly articles and books about Italian immigrant women. For example, I found out that women like my grandmother, who stayed back in Italy with their children while their husbands set down stakes in the U.S., were called “white widows” by historians. The term was a reference to the traditional black garb worn by Italian widows. White widows lacked husbands but only for a time (in my grandmother’s case, nine years) and they harbored hope that life would be better for them and their families once they reunited with their husbands in the U.S. It took me a year to interview family members, do research on Italian immigrant women, and write the 4,000-word essay. Because the essay had its genesis in the History Center workshop, I hoped that it would find a place in the museum’s magazine. Joseph Bathanti teaching his Italian American Memoir Writing workshop in the Detre Library & Archives at the History Center, January 2014. What was it like working with the History Center’s Western Pennsylvania History Magazine? It was a true pleasure to work with editor Brian Butko. He gave me guidance on an early draft of the essay that helped me weave the shared history of Italian immigrant women into my grandmother’s personal story. He also guided me in choosing photographs that helped tell the story. I was very happy with the editing and layout of the piece. It was everything I hoped for, and a wonderful conclusion to the journey that began in Joseph Bathanti’s memoir workshop. You can read Tina’s essay, “Servant ‘Up on the Hill:’ My Italian American Grandmother,” in the Winter 2015-2016 issue of Western Pennsylvania Magazine, which you can purchase on the History Center’s online shop. Melissa E. Marinaro is the curator of the Heinz History Center’s Italian American Program.